These December days the chance of finding lettuce in the farmers market is slim to none. Its the season where I want a salad but have forgotten the amazing chopped salads that come with winter. 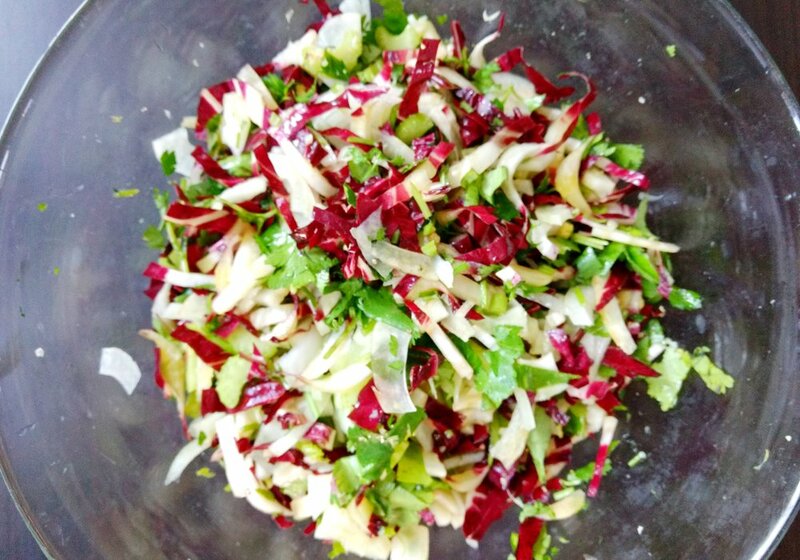 My dear friend Ajna came to visit and prepared a beautiful fennel and radicchio salad filled with cilantro. Wow! 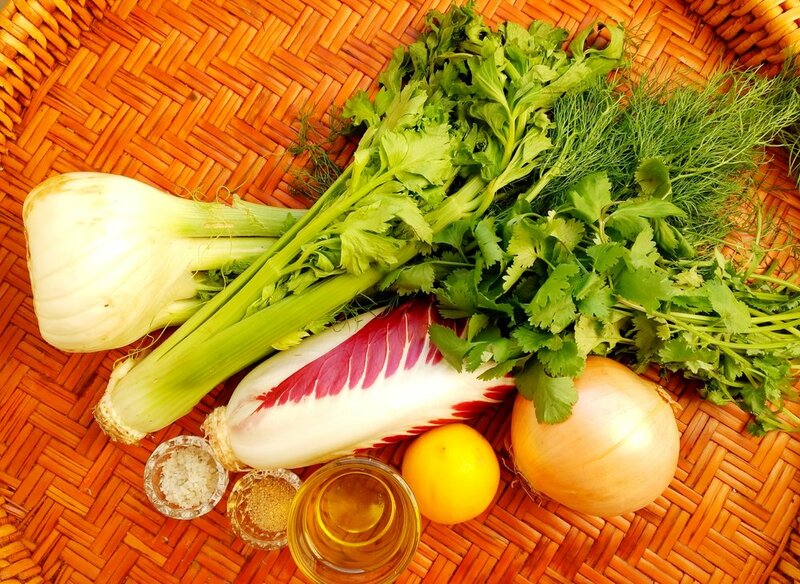 Now I have been playing with fennel, chicories of all kinds as well as the Asian spicy greens again as the winter deepens. Citrus is a prefect compliment to the fennel and trevisio in this salad and I found some beautiful meyer lemons, but any lemon will do. I juiced the lemon in the juicer to get the zest into the mix as well which is bright and floral. 2- Place them all in the large serving bowl. Douse generously with olive oil, lemon, salt and pepper. 3-Toss and serve. Make twice as much as you will eat because it is delicious the next day.